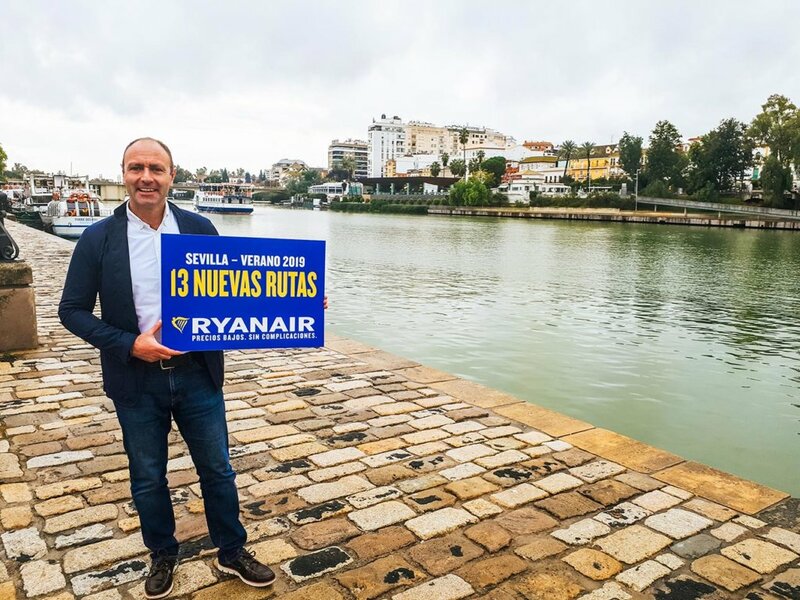 Ryanair, Europe’s No.1 airline, today (22 Nov) launched its biggest ever Seville Summer schedule (2019) adding 13 new routes to Alicante, Bristol, Budapest, Cagliari, Catania, Edinburgh, Fuerteventura, Luxembourg, Nantes, Porto, Rabat, Tangier and Venice Treviso, with 53 routes in total, which will help deliver 2.8m customers p.a. through Seville airport next year, as it grows its traffic by 10%. Seville consumers and visitors can now book their holidays on 53 routes for summer 2019 on the lowest fares. To celebrate the launch of its Seville S2019 schedule, Ryanair has launched a seat sale with fares from Seville on sale from just €12.99, for travel between November and February, which must be booked by midnight Saturday (24 Nov) only on the Ryanair.com website. “We are pleased to launch our biggest ever Seville Summer schedule, with 13 new routes and 53 routes in total, which will deliver 2.8m customers through Seville airport next year. We will also open our first Spanish C-check maintenance hangar at Seville Airport in early 2019 (an investment of $8m) creating up to 150 high-tech jobs, with provision for further extension, as we continue to grow traffic, routes, tourism and jobs in the Andalusian region.